1507 Squadron is part of the Air Cadet Organization for young people aged 12-17. If you are interested in a range of activities like flying, gliding, shooting, adventure training, as well as gaining a variety of new skills and qualifications, then the Air Cadets is for you! If you are interested in becoming a cadet, an adult volunteer or just want to find out more about our Squadron you will be able to find a wealth of information on this site. 1507 (Chester-Le-Street) Squadron is part of the Air Training Corps which is a national youth organisation for young people aged between 12 and 20 years of age. To find out more about what we do then please head to the “Activities” page. 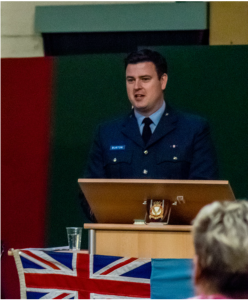 1507 Squadron is a vibrant, diverse and active squadron but we are always looking to expand the number of cadets, staff and civilian committee. Please head to our “Join us” page for more information how you can get involved. I’d like to thank you for taking the time to view our website and hopefully look forward to hearing from you. 1507 Squadron (Chester-Le-Street) is based on Picktree Lane, behind the Durham TA Centre, in the small market town of Chester-Le-Street in County Durham. Our squadron is also only a few miles away from Durham City, Newcastle, Gateshead and Sunderland squadron.